This will take place on Wednesday 5 October at St Patrick’s Church, Sheffield Lane Top (S5 0QF) from 7.30 to 8.30pm. Everyone is welcome, whether people of faith or not, to drop in and spend a moment or two in silence, to light a candle, as a sign of our common humanity, our solidarity with those who are suffering in Syria, and our yearning for peace. Donations will be accepted for the British Red Cross Syria Appeal. ALL ARE WELCOME FREE OF CHARGE! Although not essential, it helps the cook if you email to say you are coming. You are invited to come for music, words and for silence. In our busy world a quiet time can be appreciated, so silence will be an important part of this hour. All are welcome. 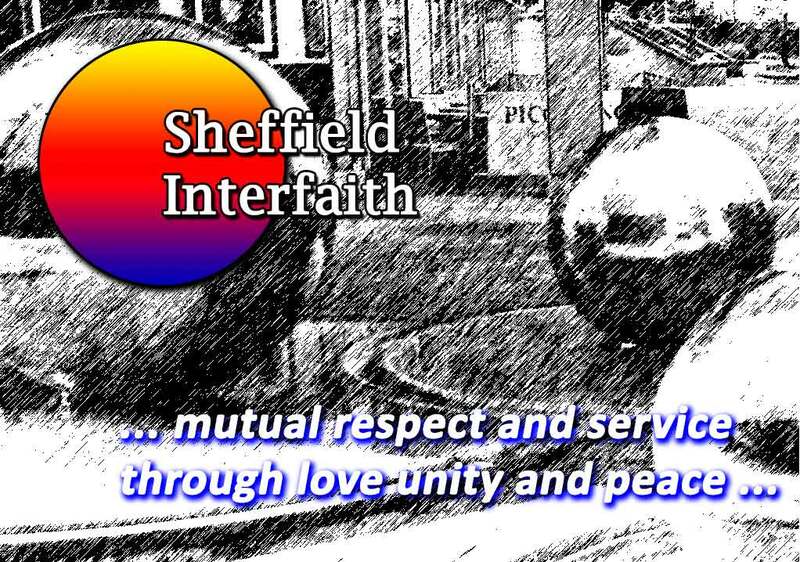 Christ Church, Pitsmoor Road, Sheffield Saturday 16th April 10.00 – 3.30pm. e-mail: johnwills@callnetuk.com giving your name and contact details. The meeting on Friday 18th March begins at 6.30pm. We are a newly formed group of women who identify with faith – either a major world religion or a sense of faith in ourselves and our female identity. We aim to explore the ways in which we can challenge violence and oppression perpetrated in the name of faith or against faith and support women of faith to stand together in non-violent affirmation of our right to expression of our beliefs and freedom. We will be holding a silent vigil on International Women’s Day, 8 March, outside the Town Hall, from 1.00-1.45, to remember women oppressed by violence, killed or enslaved in war and discriminated against because of their faith or lack of faith. Seekers Academy and Iman FM are pleased to announce a unique event titled ‘With Love, Muhammad & Jesus’. The aim of this event is to improve interfaith relations and promote dialogue. It is also an opportunity to enhance community cohesion and demonstrate unity between Muslims and non-Muslims in these testing times. This will be achieved through positive interaction and distribution of sweet packs with message tags highlighting love, compassion and mercy. Volunteers are required on Sunday 20th December @ 1pm in Iman FM Studio, 6 Chippingham Place, Sheffield to assist with sweet packing and on Wednesday 23rd December @ 12pm to help with distributing the sweets in Rotherham and Sheffield. If you are able to free some time and help please contact us on 01142 420551/07886 449654. Please note that the event has been changed to Thursday 19th November. ‘Meet the Mormons’ film showing and chapel tour with Bishop Mark Hamilton. Light refreshments will be provided please confirm your attendance by email to jkaylds@gmail.com or by phone 07890 611753.